Synopsis of Size 12 is Not Fat, taken from dust jacket of book: Former pop star Heather Wells has left behind her tours and hordes of screaming fans and settled into her new life as an assistant hall manager in one of New York's top colleges. As far as she's concerned, being a teen idol has nothing on living in a beautiful brownstone with a hunky PI she hopes to make her boyfriend someday. But when strange things start to happen at the college, Heather finds herself in the spotlight once again - this time starring as a spunky female detective. This book was really cute and funny. It had a little bit of everything, which means something for just about everyone - comedy, drama, mystery, action and romance. Heather was a solid character, very real and relateable. There was a whole cast of quirky, crazy, amusing characters to round out the book, quite a few parts that were laugh-out-loud funny, and in my mind, I could picture everything as clearly as if it were a television show. The romance aspects aren't the main focus of the story, but I like the relationship between Heather and Cooper - roomates and friends, but she's completely in love with him. The book is written in the first person, and the way Heather thinks about Cooper is so real - I'm sure most girls would be able to relate to her inner dialogue when it comes to Cooper. The crazy things girls think about guys who are either clueless or don't like them back - it was funny and really rang true. Cooper obviously cares about Heather a lot and wants to protect her, and there's potential there that makes me curious what will happen in the next book. The mystery aspect of the book was good - the mystery itself, how it all unfolds, Heather's part in trying to catch the killer, and then how it all turns out was very interesting. My only real complaint about this book - and it's minor compared to the long list of complaints I've had for some books - is that Heather works in a dorm, but the college wants to foster a feeling of comfort so they're suppost to call it a residence hall, not a dorm, so she's always saying 'the dorm - I mean residence hall...' It was funny the first couple of times but she did it through the entire book and it got old quickly and just drove me nuts. 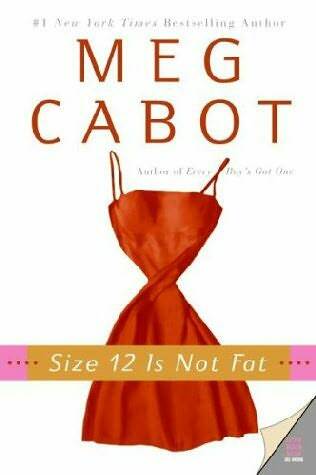 But really, that's it, and I will definitely be reading the second book in this series, Size 14 is Not Fat Either.